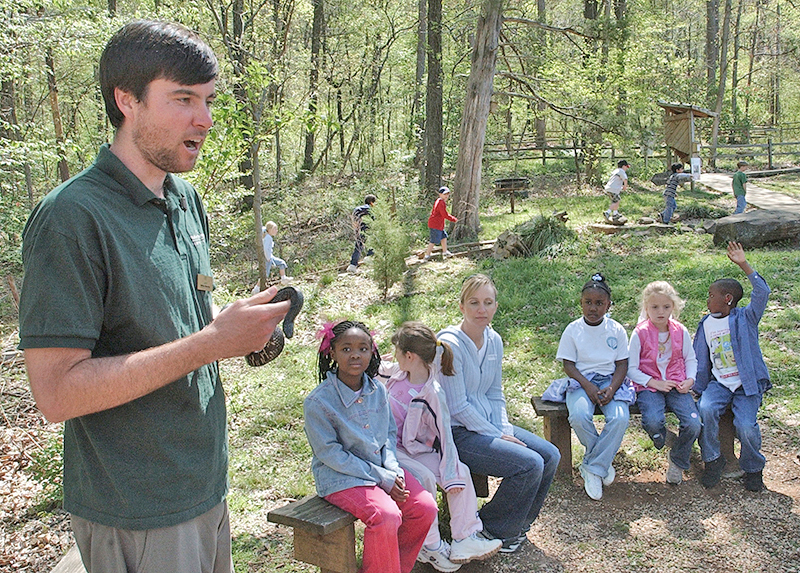 Ruffner Mountain Nature Preserve, located near Irondale in eastern Birmingham, covers more than 1,000 acres and includes hiking trails and a visitor center. Courtesy of The Birmingham News. All rights reserved. Used with permission. Photograph by Bernard Troncale.